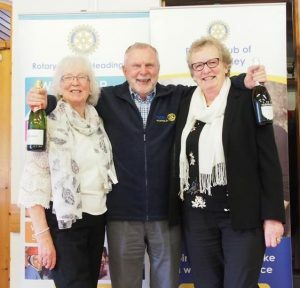 Nearly 60 Bridge Players attended Headingley Rotary Club’s annual Bridge Drive held at St Giles Church hall, Bramhope on 5th March and between them raised £950 for Maggies cancer care charity which is building a centre at St James’ hospital in Leeds. 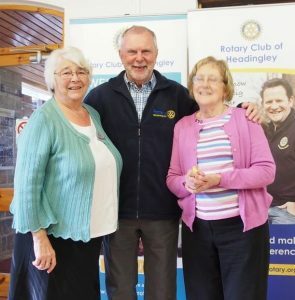 Di and Laura from Maggie’s gave a short presentation showing the great work being done by the organisation and a buffet lunch and tea were provided by club members and friends. We are grateful to Refresca, the Bramhope coffee shop who kindly donated the winners’ prizes of cream teas.